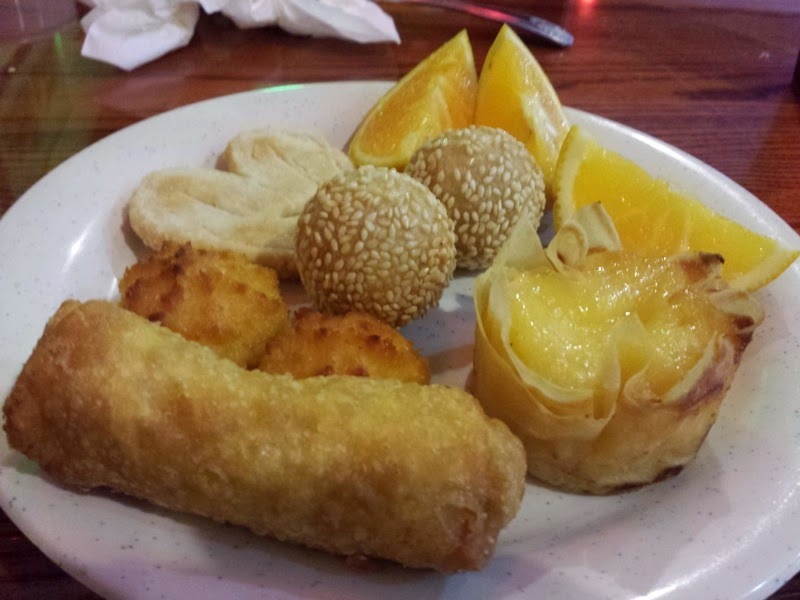 It was suggested that we try a relatively new Chinese buffet in Altamonte Springs called World Gourmet. It was dinner time and the parking lot didn't seem to have enough cars. That isn't a good try for a buffet, but we went in anyway. 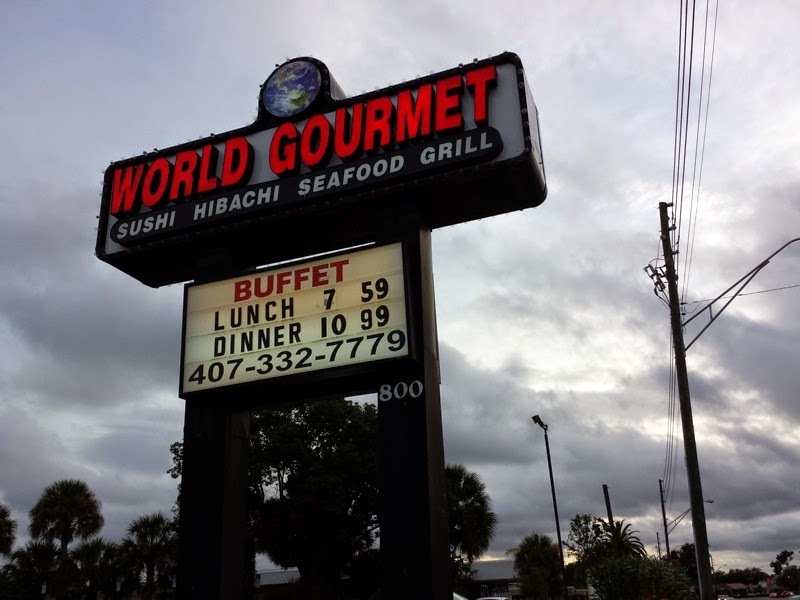 It looked like World Gourmet put lots of work converting the restaurant from its former occupant to a buffet. There were big wooden boats that doubled as buffet tables. There were nice fish tanks filled with fancy gold fish. All that work, but I got the feeling that most of the diners in here were friends/family of the owners. 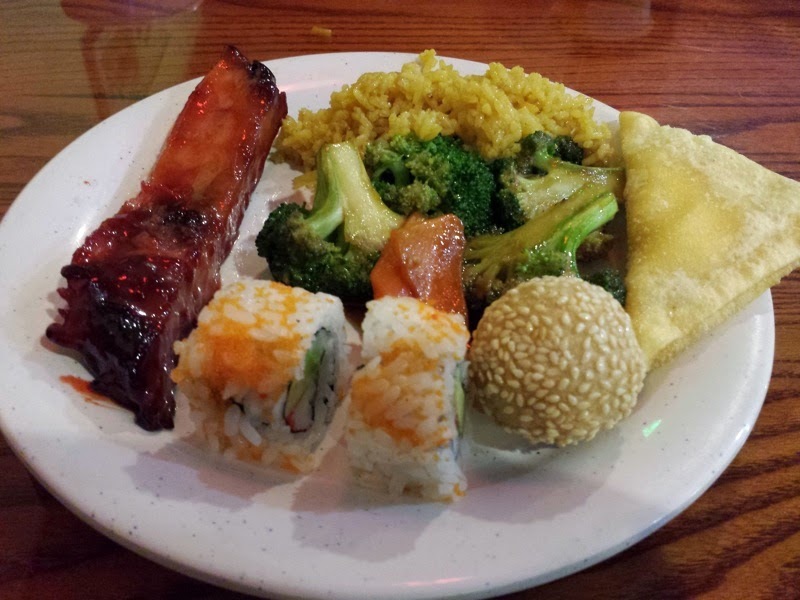 On my first trip to the buffet, I tried some California rolls, beef with broccoli, fried rice, krab rangoon, spare rib, and a sesame ball. Not the best food, nor the worst. It was pretty standard Chinese buffet fare. Plate #2 had a very monochromatic color scheme. There was an egg roll, some sort of custard, another sesame ball filled with red bean paste, then some orange slices and cookies for dessert. 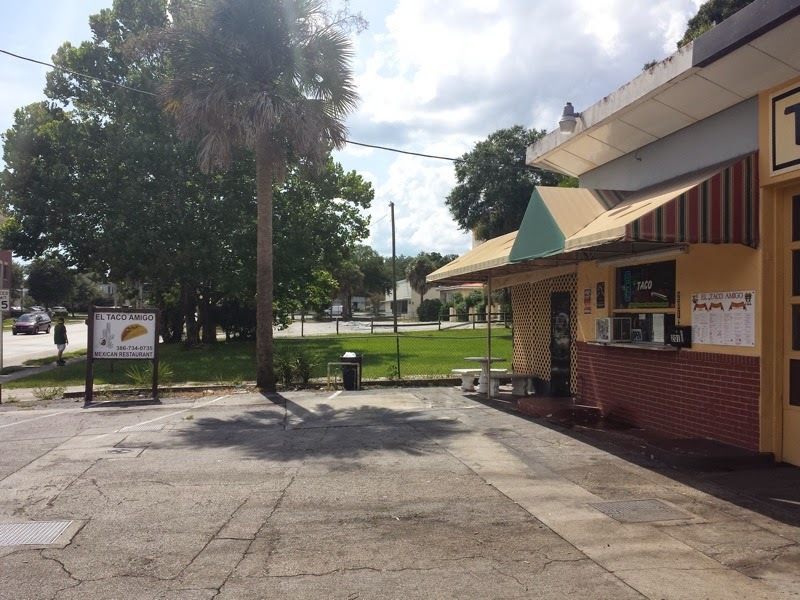 I had Mexican food for lunch from a restaurant called El Taco Amigo in Deland. They are located downtown in a building shared with an auto repair garage. You order at El Taco Amigo from a window outside. There are a few tables on the porch next to the window. 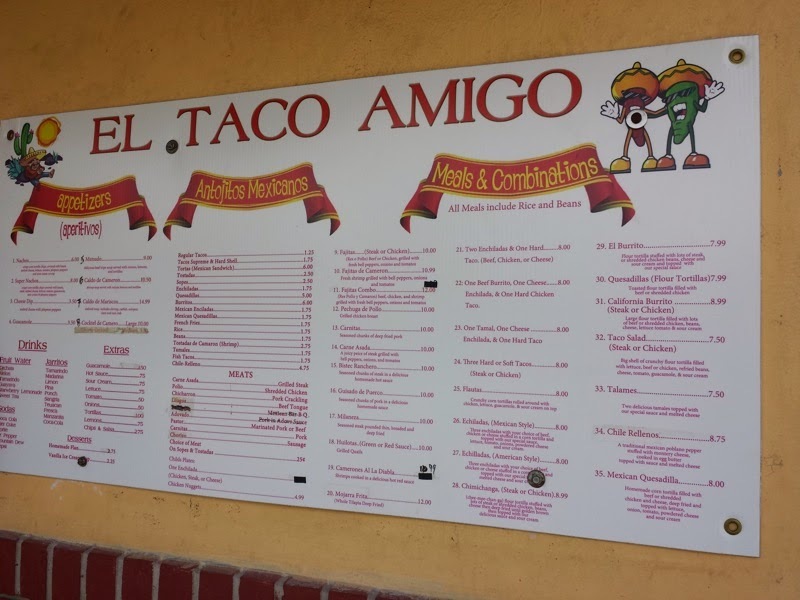 They had a good sized menu consisting of a section of tacos where you got to choose the style and type of meat. There was also a section offering meals and combinations. I tried three of their tacos. For the meats, I tried a chorizo, a pork pastor, and a polio. 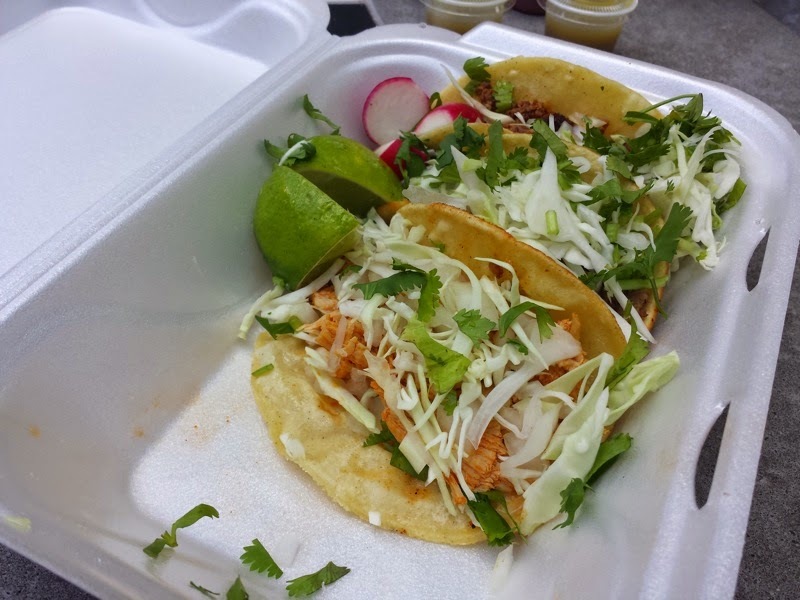 The three tacos were served on corn tortillas, topped with cilantro and cabbage. Slices of lime, radishes and hot sauce were served on the side. The chorizo and pastor tacos were my favorite and I liked them equally. The meats actually tasted very similar and I was unable to tell which one was which. They did have a slightly different appearance, so I know I did get two different tacos. Regardless, they were equally tasty! I'm not up on my spanish enough to know if polio was a typo on the menu rather than pollo, but the shredded chicken taco was the most boring of the three tacos. Luckily I didn't catch any polio from it. I enjoyed my meal at El Taco Amigo. I would most definitely go back here again for more tacos! 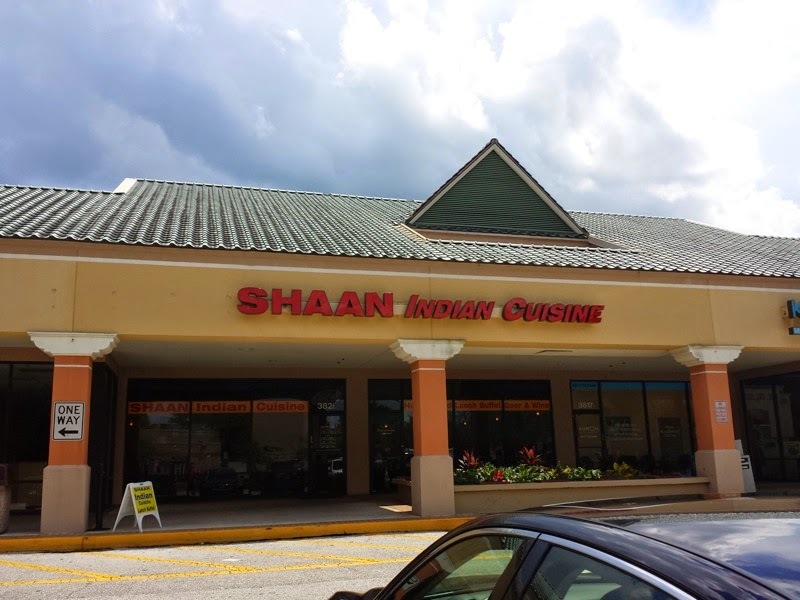 I ate at Shaan Indian Cuisine in Lake Mary. Since it was lunch time during the week, Shaan offered a lunch buffet, similar to the majority of other Indian restaurants in the area. I'm not 100% positive, but I believe this hasn't been the first Indian restaurant in this location. If so, let's hope Shaan has better luck. The buffet had a nice selection of items. 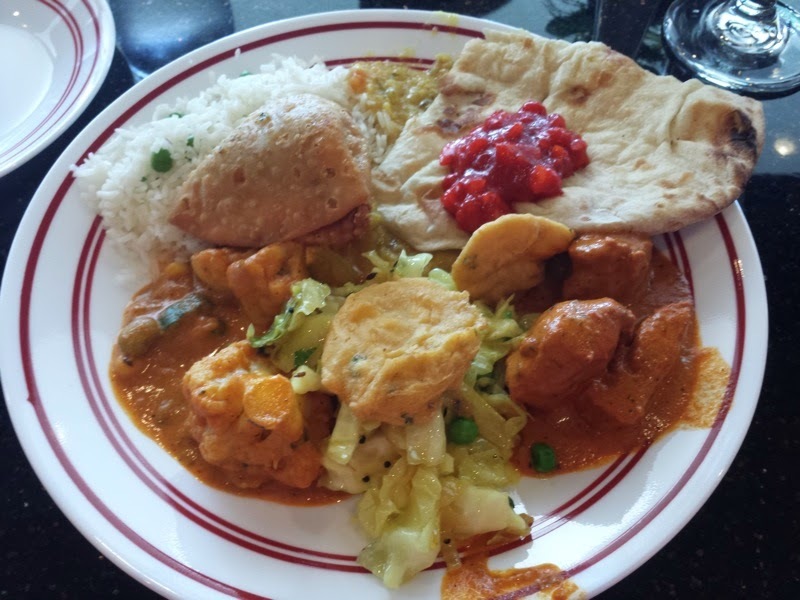 My first trip to the buffet table included trying their butter chicken, cabbage, mutter, rice, fried potato, and naan. 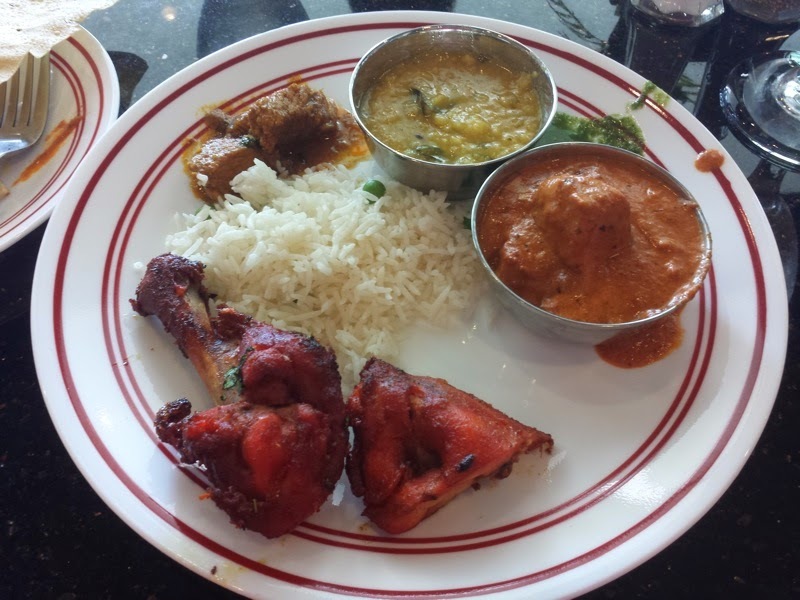 Second plate included tandoori chicken, curry chicken, and some more butter chicken. Everything on the buffet was tasty, but the butter chicken was the standout. The creamy, slightly spicy, red sauce on the chicken was delicious. I would eat lunch here again without hesitation. I've visited a Cuban restaurant on Sand Lake Road a few times now. 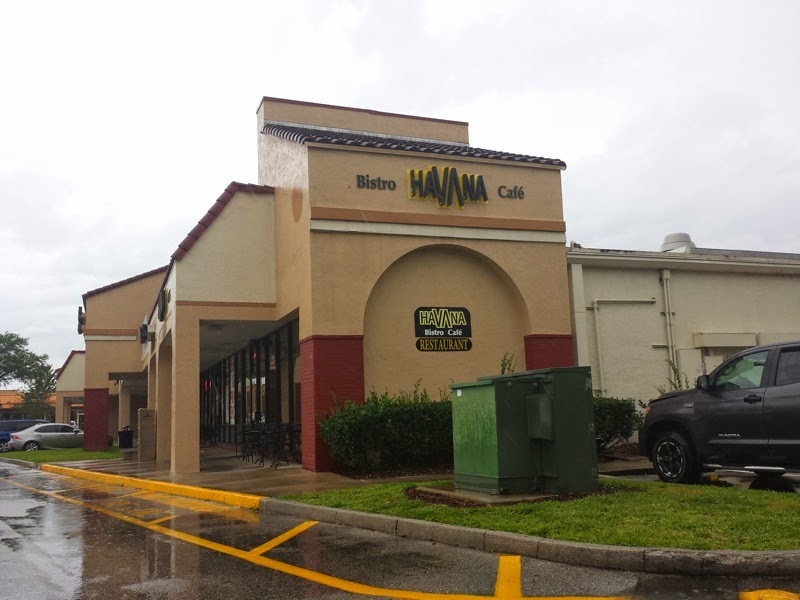 They are located in a strip mall across from the Florida Mall and are called Havana Bistro Cafe. Havana Bistro has a normal menu where you can order things like sandwiches, but they also offer cafeteria style foods consisting of several meats and side items. 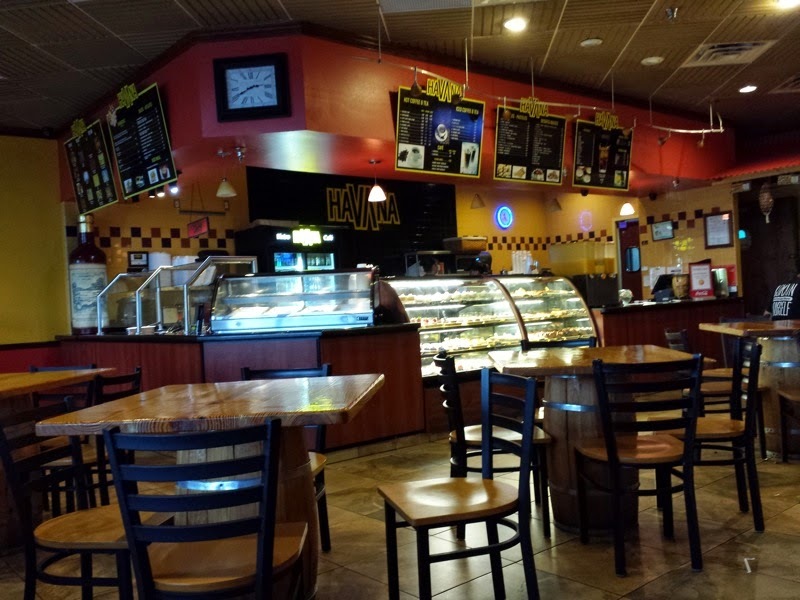 Havana Bistro seems to serve lots of coffee as well and has a nice selection of various pastries and desserts. 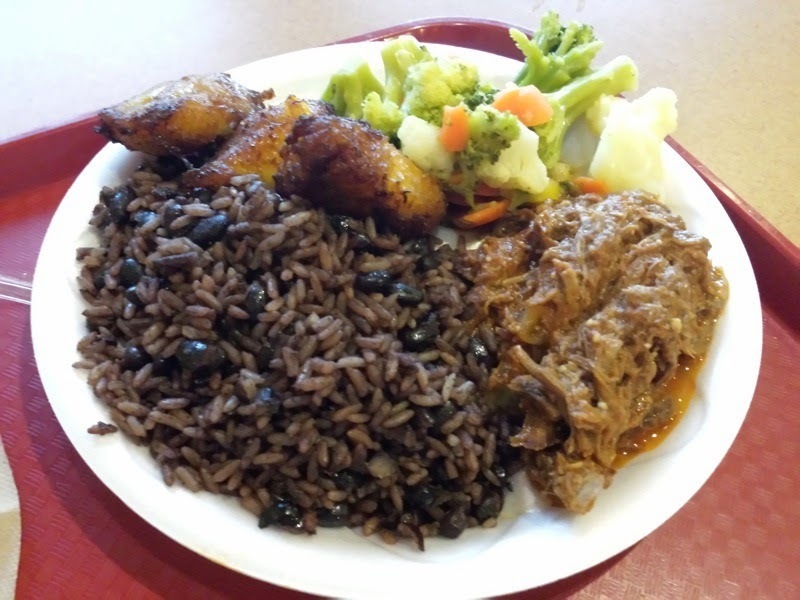 On my first visit to Havana Bistro, I ordered a meal where you get a meat and three sides from the cafeteria style part of the menu. I picked the ropa vieja for the meat. This finely shredded beef was very tasty and tender. 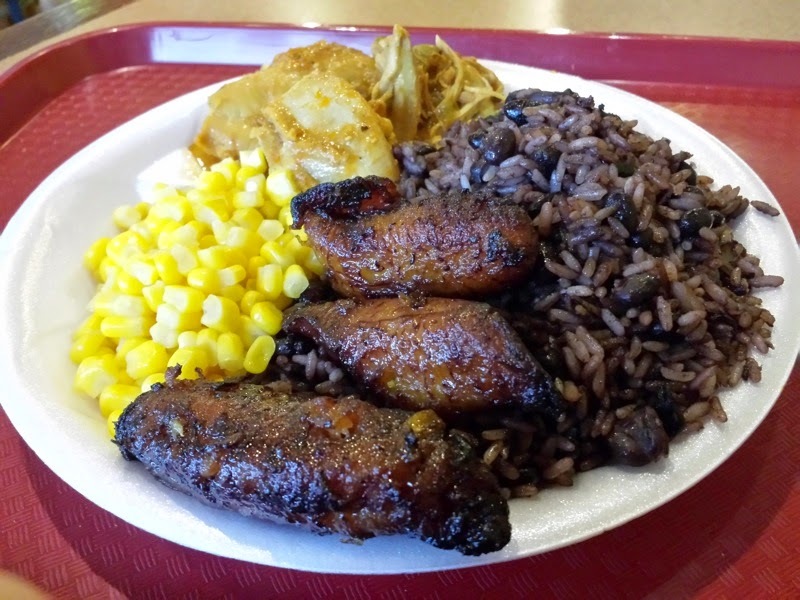 I had the steamed vegetables, plantains, and congri (rice & beans) for my sides. I tried their chicken on another visit. This consisted of shredded chicken in a flavorful yellow sauce with slices of green olives. I had corn, plantains, and congri for my sides this time. Out of the two meats, I preferred the ropa vieja. 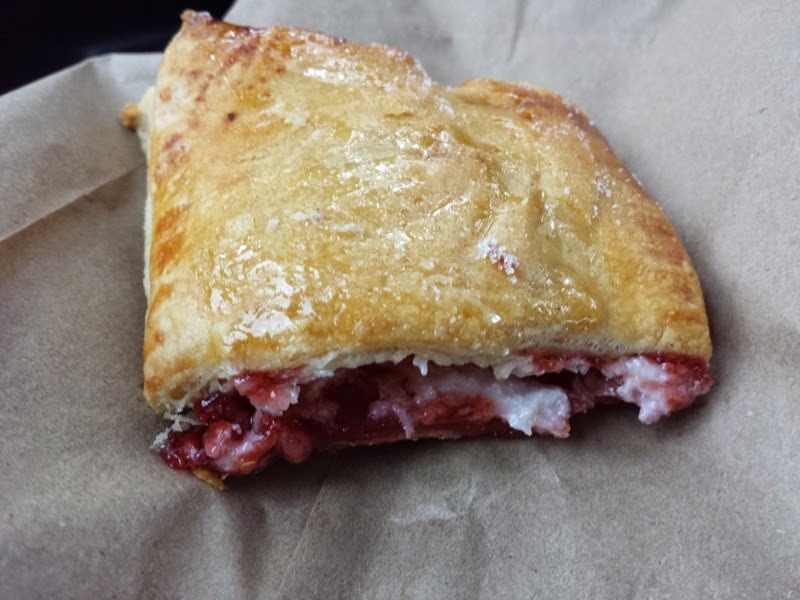 I also decided to get a pastry on my second visit to Havana Bistro. I tried the guava and cheese. I liked the food at Havana Bistro. The meats were tasty, although some of the sides were a bit disappointing (steamed vegetables and corn seemed like they came right from a frozen food bag). Their prices are very reasonable for the amount of food served as well. I'd return. 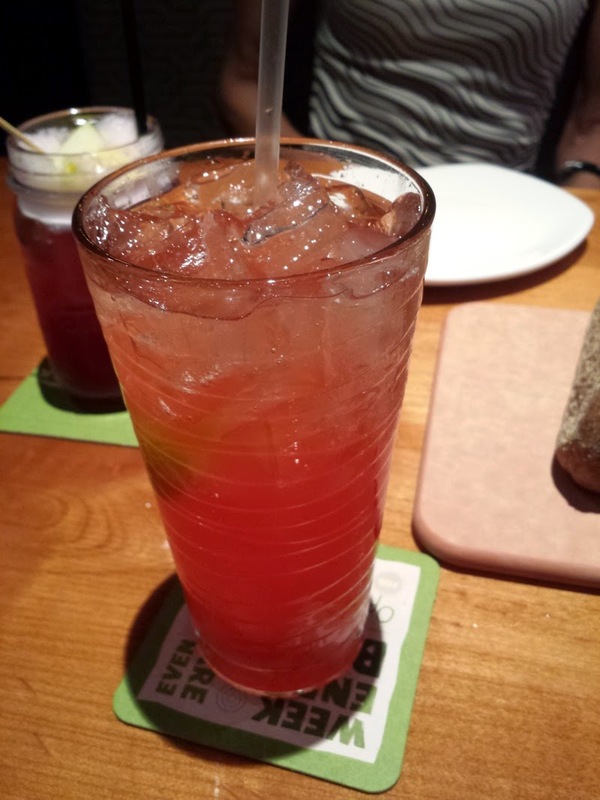 I was invited to a menu tasting at the new Outback Steakhouse that recently opened on International Drive. 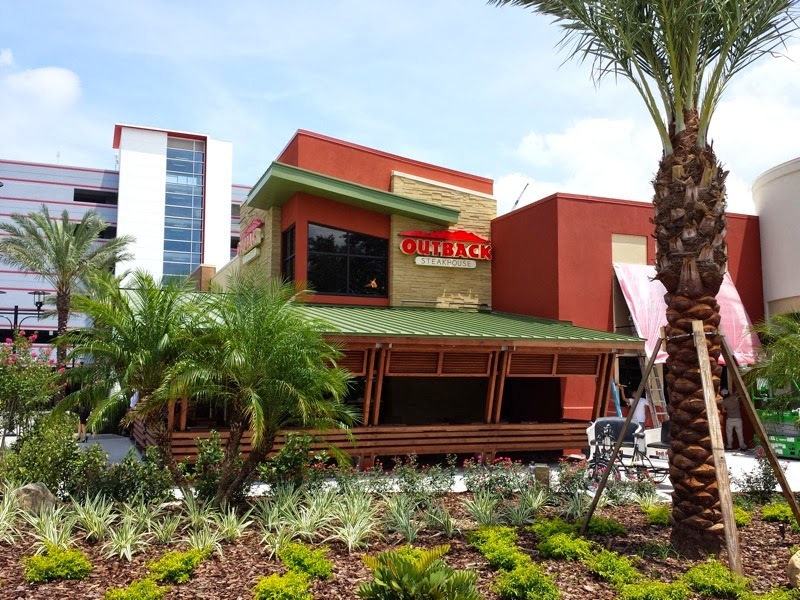 This Outback is located in the I-Drive 360 complex, anchored by the currently half built Orlando Eye ferris wheel. I attended one of their lunch tasting events. 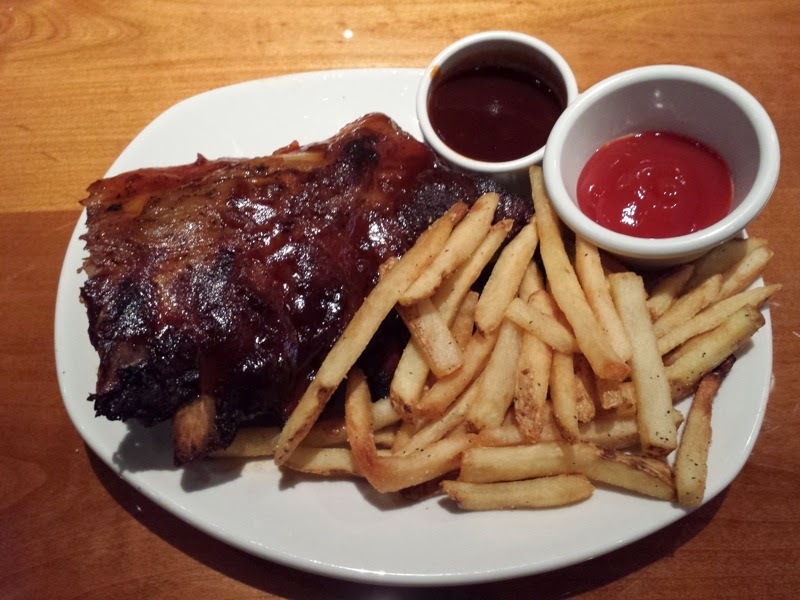 These menu tasting events were used to train Outback's staff in exchange for free food. 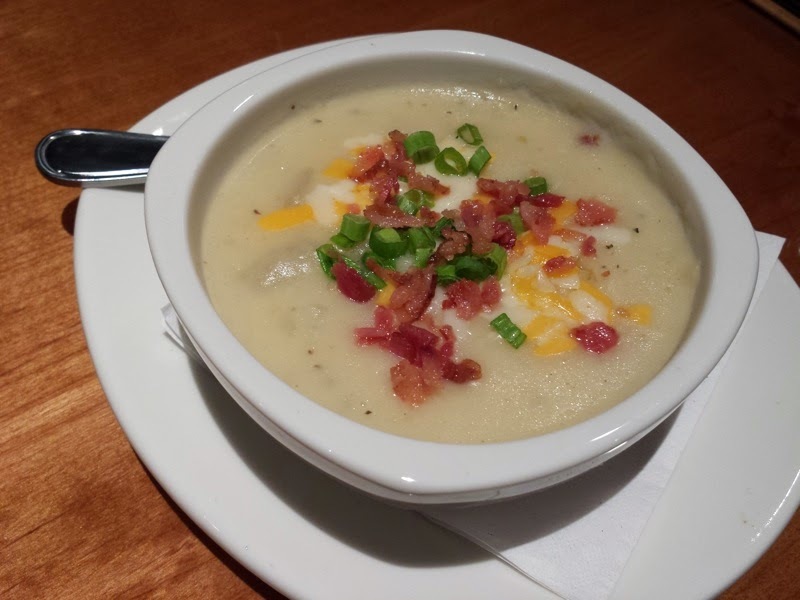 The meal started with Signature Baked Potato Soup - Creamy potato soup topped with melted cheese, bacon, and green onions. I had the Baby Back Ribs - Smoked, wood-fire grilled and brushed with a tangy BBQ sauce. Served with Aussie Fries. 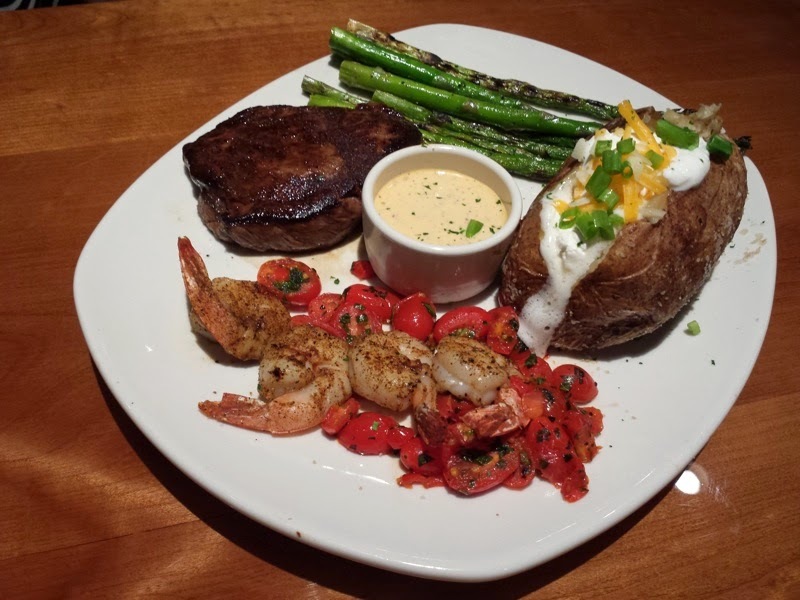 Sirloin and Grilled Shrimp. Served with a baked potato and asparagus as sides. 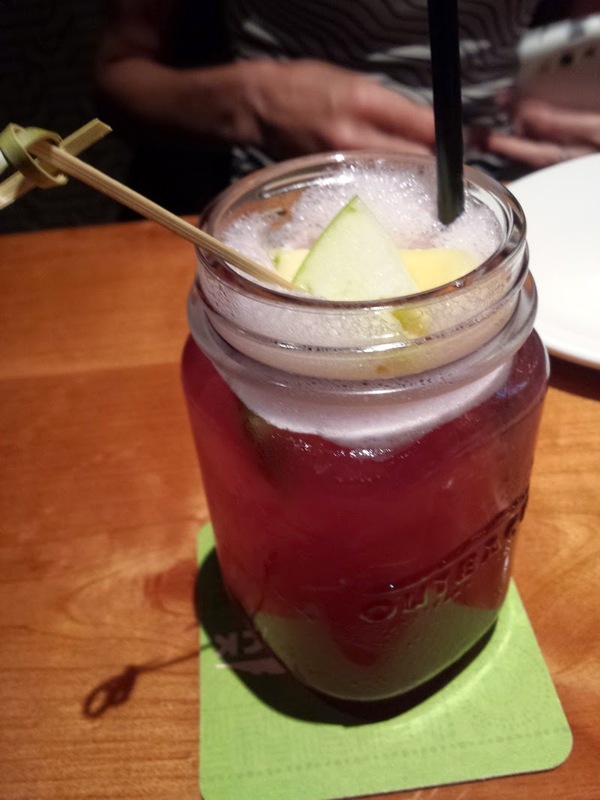 I had their homemade watermelon soda made from ginger ale, watermelon, and lime for my drink. Outback Steakhouse was fun. This new Outback Steakhouse was pretty much exactly what I was expecting. Like most chains, the food here was pretty much equivalent to what can be had at any other Outback. Still, I think Outback Steakhouse should fully embrace their Australian theme and start serving kangaroo meat. I'd totally try kangaroo if it started being served at Outback. It could be a place for people on kangatarian diets to go eat! 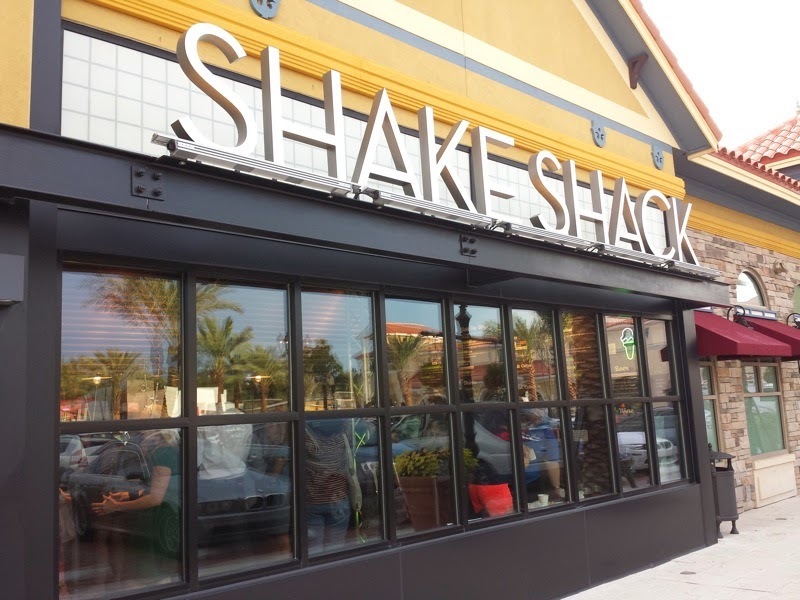 I was invited to a Shake Shack Housewarming Party for the new restaurant in Winter Park. 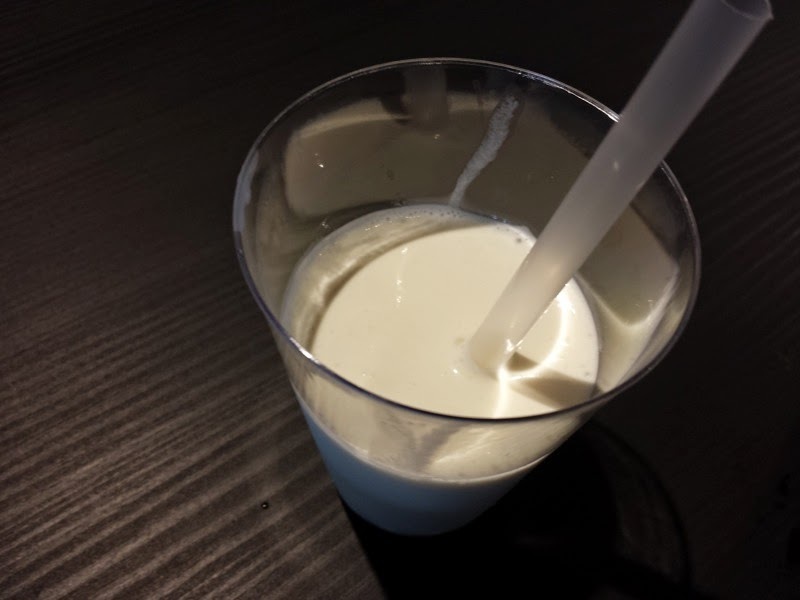 Shake Shack is a burger chain which originated out of New York and has quite the following. My only previous experience with Shake Shack was when I attempted to eat at their South Beach location. There was a line pouring out of the restaurant and half way up the block, all in pouring rain. I didn't feel like getting soaked for burgers, but it showed that Shake Shack has some loyal customers with that many people willing to wait in line in the rain. I finally had my chance to give Shake Shack a try with their first Orlando area location in Winter Park. Would it live up to the hype? I sampled three of Shake Shack's burgers. The first was the ShackBurger. This was a cheeseburger topped with lettuce, tomato, and ShackSauce. 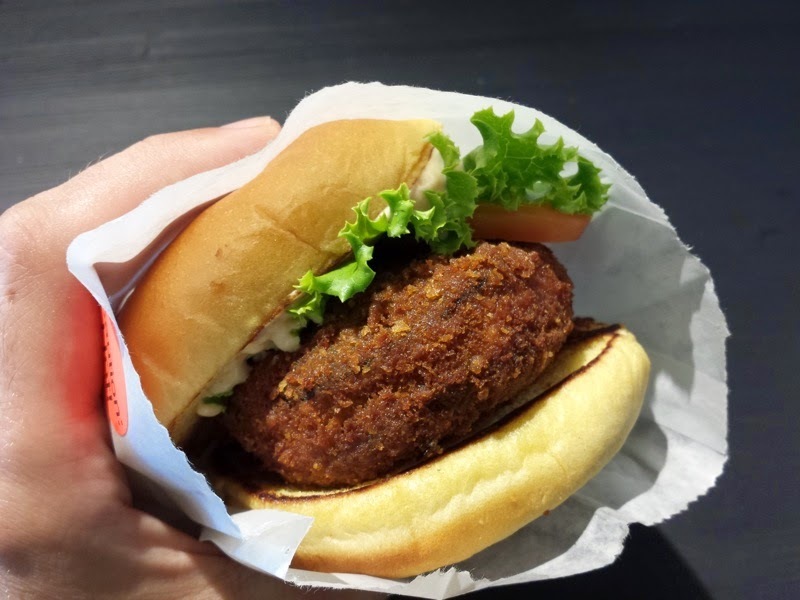 Was it an amazing burger that lived up to Shake Shack's hype? It's hard to say. I'm honestly not much of a burger person so I'm not the best judge. 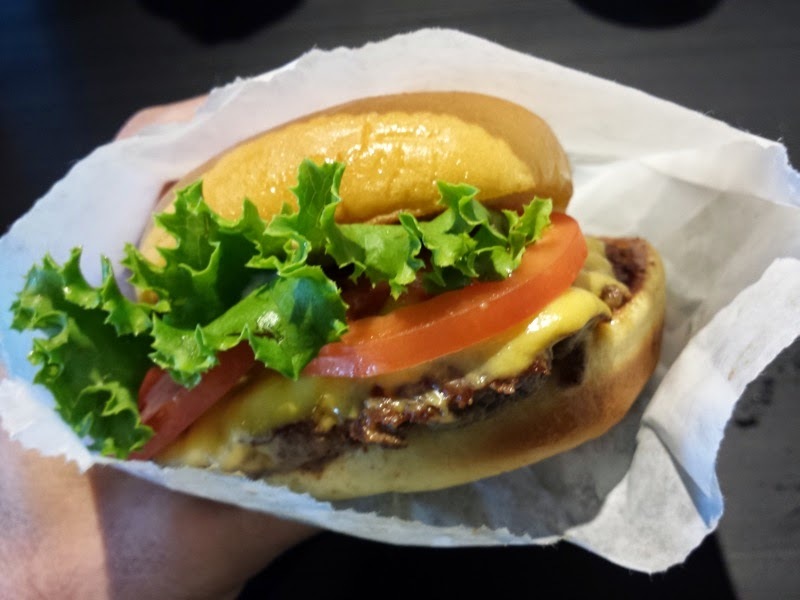 This was my second favorite burger that I tried at Shake Shack. Up next was the 'Shroom Burger. This was a vegetarian option which consisted of crisp-fried portobello mushroom filled with melted muenster and cheddar cheeses, topped with lettuce, tomato, and ShackSauce. This was my least favorite of the three burgers. I found the hot gooey cheese inside the mushrooms was a bit dangerous to eat as it exploded everywhere as I bit into the burger. The third burger was the SmokeShack. This was a cheeseburger topped with all-natural applewood smoked bacon, chopped cherry pepper, and ShackSauce. Out of the three burgers, this was my favorite. The cherry pepper provided a nice, spicy kick. 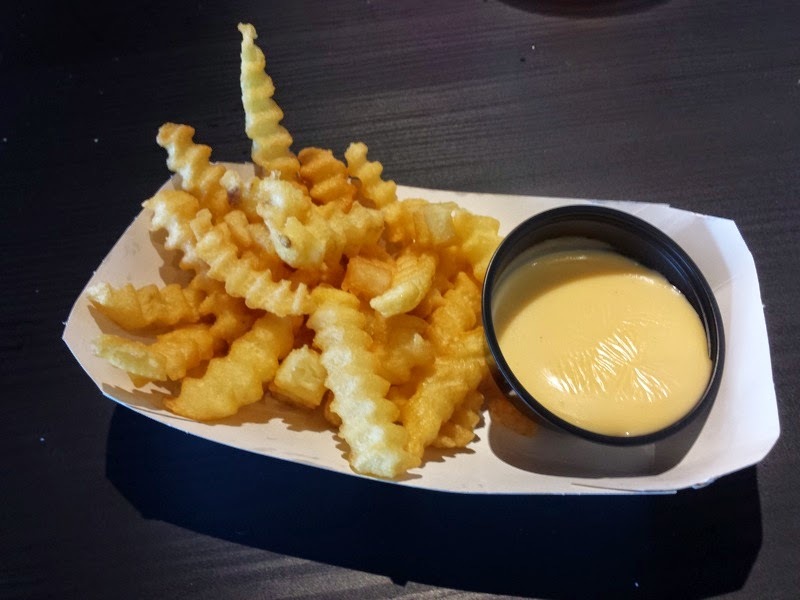 The Cheese Fries were crinkle cut Yukon potatoes with a side of cheddar and American cheese sauce. Hot Dog with fries. 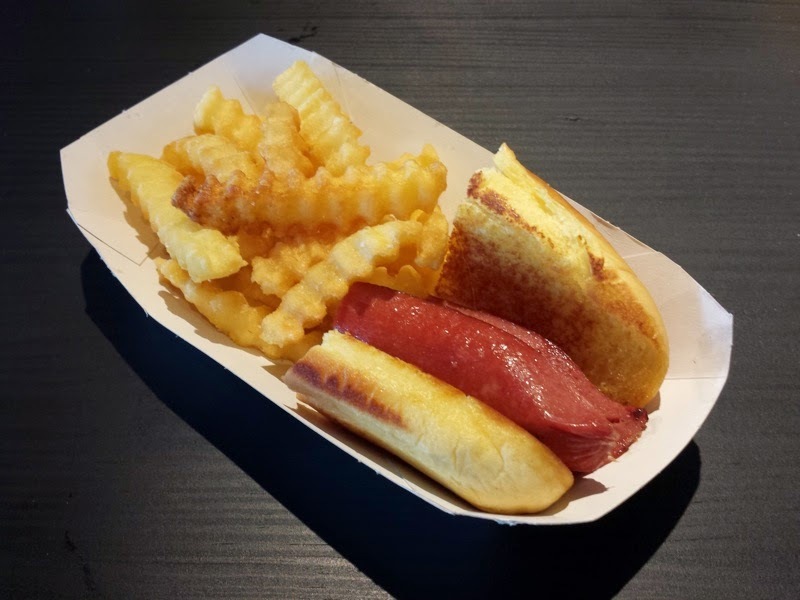 This was pretty standard as far as hot dogs go. I enjoyed trying Shake Shack. Was it everything that I was told it would be? The food was good. I don't know if I would say these were the best burgers ever, but definitely better than some other fast food chains. Like I said, I'm a horrible judge of burgers. I've disliked enough burgers to mostly stop ordering them at restaurants. 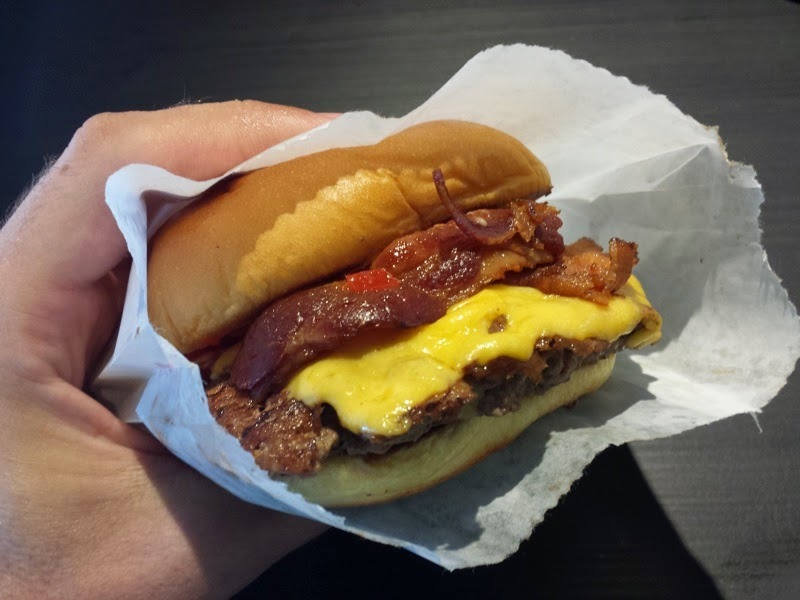 I suppose Shake Shack did indeed pass the burger test for me because I'd go back again. Now that they're officially open, I wonder if the Winter Park Shack Shack will get lines out of the restaurant like I encountered in Miami?